Grahame Morris is calling on the Government to take action on the A19. 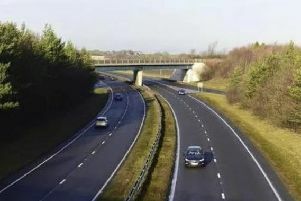 The politician leading calls for an A19 rethink to save life, limb and jobs says new research proves something must be done to improve the region’s prospects. Easington MP Grahame Morris has highlighted the outcome of figures from the British Chambers of Commerce, which show more than a third of businesses do no believe the UK’s roads and rail networks meet their needs to access new and existing customers, suppliers and employers. We need a Government with some foresight to future-proof our infrastructure and support the development of our regional economy. The survey also found 68% of businesses regard the roads as less reliable compared to five years ago. Mr Morris, who is leading the campaign for an inquiry into safety on the road, backed by our Safe A19 appeal, said the figures support his call for a probe. He added: “As the principal economic driver in my constituency, our export focused manufacturing businesses in the region cannot afford to be at a standstill for hours on end. “It undermines the ‘just in time’ manufacturing business model which employs significant numbers of people in our region. “The lack of investment, maintenance and upgrading of this vital economic highway is clearly holding back businesses in my constituency. To add a signature to the 2,000-plus names on our Safe A19 petition visit goo.gl/8WbEhe.